Home » Solutions » Samsung Galaxy S5: "Unfortunately, the process com.google.process.gapps has stopped"
What do I need to do to fix the error message "Unfortunately, the process com.google.process.gapps has stopped" on my Samsung Galaxy S5? That's one of the questions I received this week. Well, I looked into it and it's not really a big deal. The fact is, I'm familiar with this problem as I have dealt with it several times already with Galaxy S3, S4 and Note 3. If you were getting the annoying and recurring 'Download Complete' error, there is a big possibility that you'll also be getting the "...process com.google.process.gapps has stopped" error. Otherwise, it's a lot easier to fix the than you think it is. Scroll to 'APPLICATIONS,' then tap Application manager. Swipe left or right to display contents of the ALL screen. Tap the Downloads (if there are two Downloads options, choose the one with Android or green robot icon). Tap Disable, and then tap Enable to turn the service on again. Yes, toggling the switch On and Off may fix this problem. Otherwise, follow the next procedure. That's it! 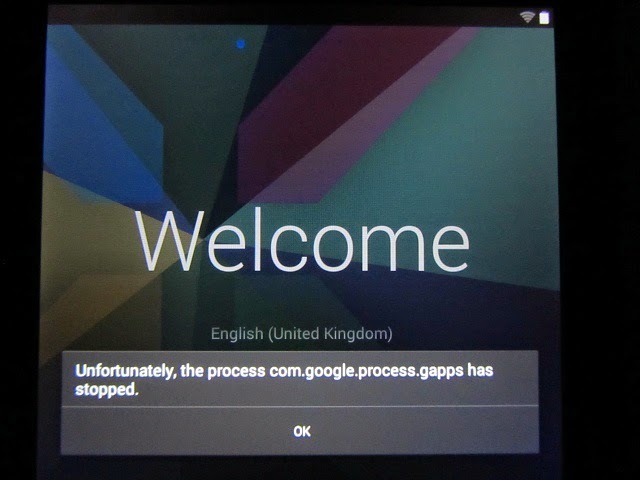 The dreaded "...process com.google.process.gapps has stopped" message will be gone. If you have further questions, feel free to contact me through harold@droidista.com. Have a great day!